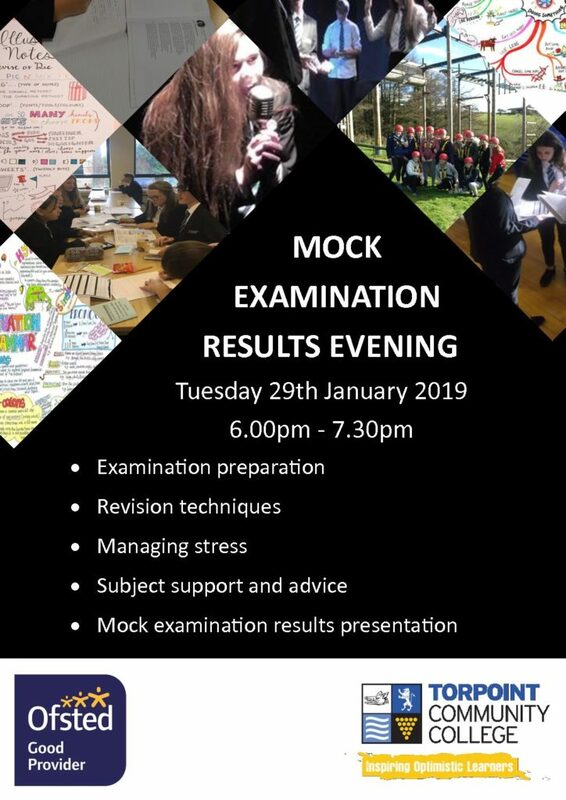 Tuesday 29th January 2019: Mock Results Evening starting at 6pm. 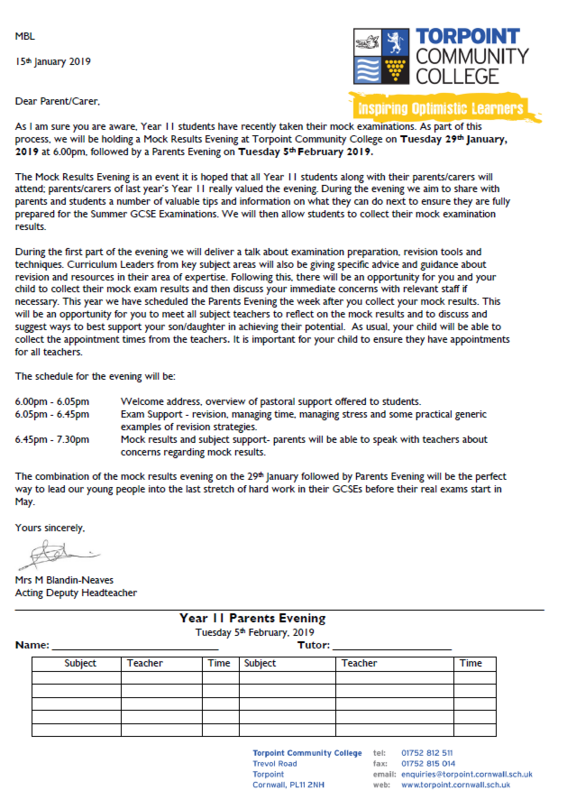 Tuesday 5th February 2019: Year 11 Parents Evening from 4.00-6.30pm. Students have been given a letter today outlining the details of these evenings.